The F2A had won the competition against an early version of Grumman’s F4F ‘Wildcat’. When it was deployed with VF3 aboard USS ‘Saratoga’ in 1939, it was the US Navy’s first all metal monoplane fighter. 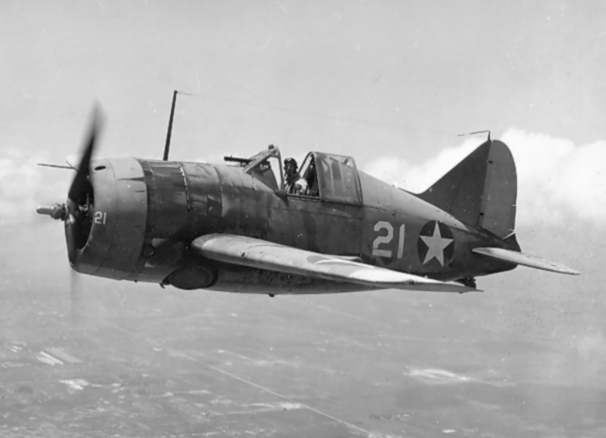 US Navy pilots liked the tubby little fighter for its manoeuvrability (“it could roll in a telephone booth…”). 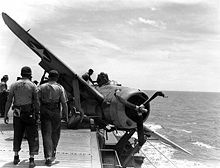 The operational problems with the F2A came on top of the uneasy relations the US Navy had with the Brewster Aeronautical Corporation. The company had started off as a sub-contract0r for components in an old furniture factory in Queens NY. Airframe production was distributed over several floors, the movement of larger units severely restricted by numerous concrete pillars. Completed airframes were trucked out to a hangar at Roosevelt Field on Long Island where final assembly and test flying took place. Labour relations at Brewster were deplorable. Strikes were common and the trade unions within the plant were not particularly inspired by patriotic ideals. After the German invasion of the Netherlands (May 10, 1940), the newly established government in exile in London tried to remedy this situation. A Netherlands Purchasing Commission (NPC) was assembled post-haste in New York. On May 22, 1940 it handed the US authorities a ‘shopping list’ on which fighter and bomber aircraft figured prominently. Unfortunately the Dutch were not the only ones who were scrambling to re-arm. Since 1938 the US Aircraft industry had been swamped by British and French orders while other countries (such as Belgium and Finland) were also trying to get into the market. President Roosevelt decided that Britain and France would have priority. All other nations had to do with what was left. Orders for the Buffalo fighter had been placed by the RAF (170), Belgium (40), France and Finland. A member of the NPC (Major Eddy te Roller) had found out that the Belgians would cancel their order for Buffaloes since their country too had been overrun by the invading Germans. By this and other ingenious machinations the NPC managed to scrape together a total of 72 Buffalo airframes. The next headache were the engines. Major te Roller had to use his considerable skills in his negotiations with manufacturers and second hand suppliers. It would go too far to describe the incredible wheeling and dealing needed to acquire the powerplants (most of them less powerful than required) but finally it was all done and deliveries of the fighters began at Roosevelt Field, Long Island, in March 1941. Captain Hans Maurenbrecher test flying a B-339D Buffalo over Long Island. This machine was damaged prior to delivery and was not delivered to the NEI. It was to be taken over by either the USAAF or RAAF but its final destination is unknown. 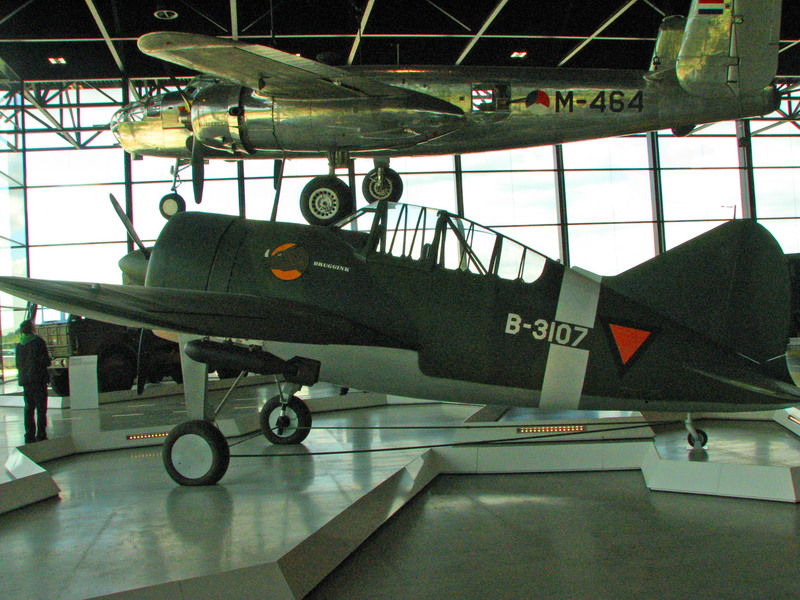 The F2A’s were given the export designation B-339C and -D. Most of the acceptance testing was done at Roosevelt Field by Captain (later Major General) Hans Maurenbrecher, supervised and assisted by Major Eddy te Roller. 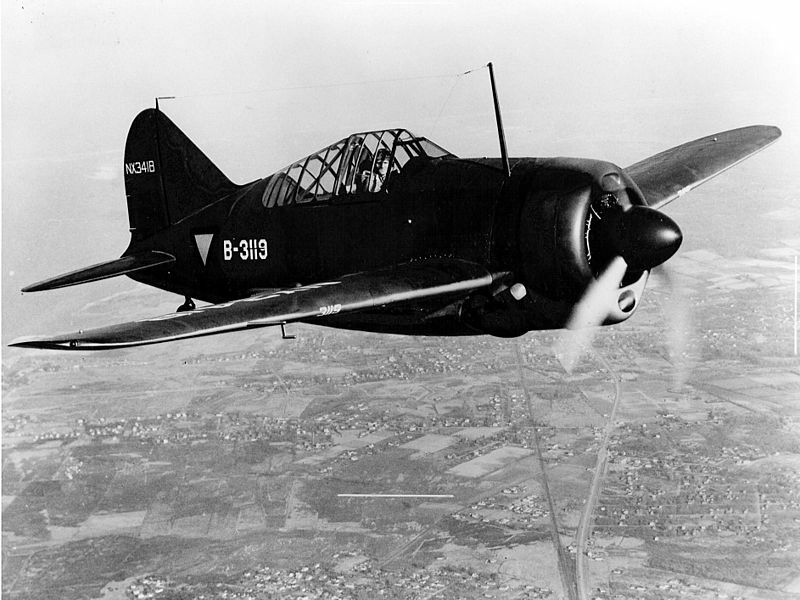 Of a total of 92 Brewster Buffaloes ordered, only 67 were delivered in time to see combat. Some crated Buffaloes were aboard a Dutch freighter that reached Tjilatjap early March 1942 but could not be unloaded. They and the remaining Buffalos were handed over the USAAF in Australia. The first operational unit to receive Buffaloes was the 5th Vliegtuiggroep (Air Group) on Semplak [near Bogor] and Andir [near Bandung]. The group was established on 1 June 1941 . A Transition Squadron (Proef Afdeling), was established to familiarize the pilots with the Buffaloes. This familiarization did not take much time and on 1 July 1941, the ‘Transition Squadron’ was officially established as 2-Vl.G.V. It was the first fighter squadron completely equipped with Buffaloes. The fact that these machines had the 1100 hp engines fitted (and not the 1200 hp engines as was intended) was not immediately seen as a drawback. During November of 1941, 1-VLG V was transferred to bases on Borneo, and two new Buffalo squadrons (3-VLV IV and 3-VLG V) were formed, but it was not until the end of 1941 that pilots and sufficient ground crew came out of training. The strength of a ML-KNIL fighter squadron had been set at 12 operational aircraft plus a similar number as spares. However, under the pressure of wartime deployment, this strength would be reduced to 12 plus six spares and even that level was difficult to attain. When the Japanese attack against the Dutch East Indies began, 2-VLG V moved up to Sembawang airfield near Singapore. They fought alongside the Commonwealth Buffalo squadrons defending Malaya and Singapore against an overwhelming Japanese air superiority. During that time, some of the Dutch 339Cs were fitted with armored windshields. 2-VLG V was moved to P1 Airfield on Sumatra, when the Japanese had conquered most of Malaya and were about to overrun Singapore. There they joined 1-VLG V in a last-ditch attempt to defend the crucial Palembang Oil fields and stem the tide of the Japanese advance. After the capitulation of Singapore on February 15, Japanese paratroopers landed around Palembang on February 19. Despite fierce air raids by Dutch Buffaloes and RAF Hurricanes, a massive sea borne invasion force came up the Musi river and both squadrons had to be withdrawn to West-Java. There, they joined 3-VLG IV and 3-VLG V in their actions against the Japanese invasion forces in Sumatra. Meanwhile, on February 9, 1942, 3-VLG IV had been decimated during a Japanese air strike that destroyed most of their Buffalos while on the ground. This squadron had to be disbanded on February 12, and its three surviving Buffaloes were transferred to 2-VLG V.
The Japanese advance was extremely rapid and by mid-February 1942, the encirclement of Java was almost completed. Daily Japanese air strikes from bases in Borneo, Sumatra and Bali whittled away the Dutch and US fighter strength. When the Japanese invasion of Java began on February 28, 1942, only a dozen Buffaloes were still airworthy. Together with a handful of British Hurricanes and USAAF P-40’s they briefly fought against impossible odds. Java fell on March 8, and all Dutch forces in the Indies surrendered on March 9. After only travelling 200 meters they ran into three Mitsubishi A6Ms. Deibel’s plane was hit in the oil tank and he had to break off from combat. His wingman, Scheffer, escorted him back to Andir airfield, where Deibel crash landed his aircraft without injury. The other two remained above Lembang, but were now entangled with six Mitsubishi A6Ms. Van Helsdingen was soon shot down, but Bruggink managed to escape into the clouds before returning to Andir airfield. Bruggink and Deibel were awarded the “Military William Order”, the highest Dutch military award. Van Helsdingen and Scheffer (who died in a Japanese POW camp) were posthumously awarded the honour on 14 July 1948. Some critics maintain the view that the Buffaloes were completely outclassed by the Japanese fighters which opposed them. They say the Model 339C and D were inferior to the Japanese Zero in speed, maneuverability and in climb rate. Others maintain that the Buffalo was a 1936 design. Its shortcomings, such as no armor plating, no self-sealing fuel tanks etc. were typical for that era. The Hawker Hurricane lacked these features as well, when it first went into action against the Germans in 1939. When the Australians of No. 453 Squadron went into action around Butterworth and Ipoh (between December 12 and 24, 1942), they found the Buffalo’s performance abysmal. This was mainly caused by the civilian 1100hp Wright Cyclone G-105A engines that had been fitted. These had no superchargers and the pilots continually over-boosted the engines. As a result, all spark plugs had to be replaced after each mission. It took 30 minutes to reach 20.000 feet and the A6M Zero, cruising at 25.000 feet, was beyond their reach. At altitudes above 18.000 feet, fuel pressure, supplied by the engine pump, fell off and the pilots had to work a manual fuel pump to keep the engine running. And finally the guns: two of the four .50 cal. guns were synchronized through the propeller. The ammo was preserved in grease and upon firing, the grease would evaporate and the propwash would send it back in a spray that covered the cockpit windscreen. After their return to Sembawang (Singapore), the squadron thoroughly overhauled their remaining Buffaloes. All unnecessary equipment (such as cockpit heaters, flare chutes and even radios) was removed, as were the two .50 Cal guns in the nose. These “field modifications” lightened the fighter by nearly 1000 lbs. Another modification was to limit the fuel load to 45 gallons. From that moment onward, the RAAF Buffalos had an acceptable performance. 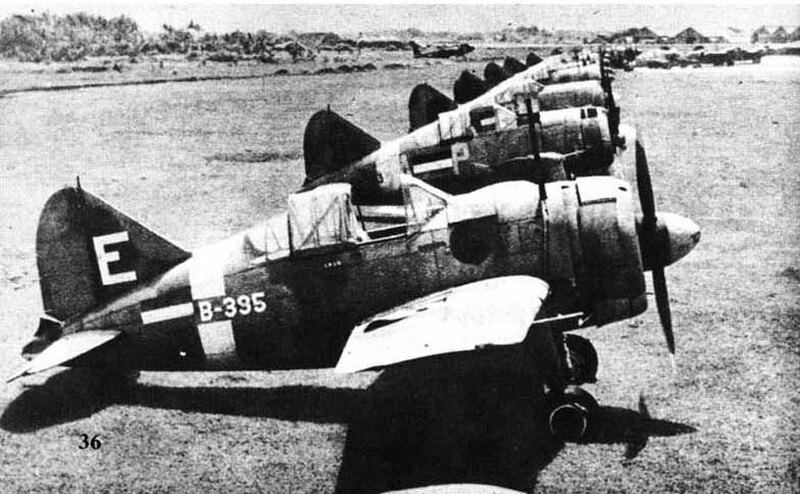 The Japanese fighters they came up against were large numbers of Nakajima Ki-43 ‘Hayabusa’ (code named Oscar) and Mitsubishi A6M (code named Zero) Both types had a superior rate of climb, due to their extremely lightweight construction, but both had no armor plating or self sealing tanks. The ‘Oscar’ was also lightly armed (a 7,7mm and a 12,7mm machine gun) and was slower than the Buffalo. The ‘Zero’ was more heavily armed (two 7,7 mm machine guns and two 20mm cannon). It’s performance was the same as the 1200 hp equipped Buffalo. Conclusion: Once it had been “Battle Modified”, the Brewster Buffalo was not a bad fighter. What, then, gave birth to the ‘Buffalo Inferiority Complex’? In my opinion it was mainly psychological. For many years the West had laughed at Japanese products. ‘It’s like a Japanese bicyle!’ was a household phrase indicating shabby quality. During the war in China, the devastating numbers and superior quality of the Japanese fighters and bombers had come as a rude shock to the US commanders. They sent in detailed reports about the quality and excellent tactics of the Japanese fighters but higher command chose to ignore them.As a result, the Allied commanders were in for the same rude awakening when the Pacific war broke out. The Japanese forces also had the stimulus of success. They were fighting a textbook campaign, rolling up all resistance before them. While the Allied pilots were retreating and losing. They also had the initiative. They could choose the moments when to attack, forcing the Allied Air Forces had to respond at the spur of the moment. And finally, many of the japanese fighter pilots had flown in China and had gained battle experience over the past two years. Most Allied Buffalo pilots had a total flying experience of less than one year, or even (in the case of 453 Squadron) less than six months, flying training school included!. The Buffalo “As Delivered” was hardly a match for the Japanese frontline fighters, with its civilian spec engine, large fuel load and high gross weight. Other reasons have to do with organization and logistics. There were hardly any radar systems and no co-ordinated early warning network. The command and control organization in Singapore was flawed by turf fights and lack of perspective. ABDA command was ludicrously inefficient during the battle for Java. The Dutch ordered 92 Buffaloes of al types, but – Brewster being a rather unreliable supplier – only 67 had been delivered at the outbreak of the Pacific war. During three months of combat, 30 Buffaloes were lost in air combat, 15 were destroyed on the ground, and a similar number was lost in accidents. 17 pilots were killed in action but against these losses, Dutch Buffaloes claimed 55 enemy aircraft destroyed, a victory-to-loss ratio of almost two to one. The following table lists the losses I have been able to trace(both in combat and accidents). Corrections and additions are very welcome! B-399 263 07/01/1942 Seriously damaged at Kallang, written off. B-3101 265 07/03/1942 Last mission flown March 7, ’42. Brugginks plane? B-3105 269 15/01/1942 Ditched after engine failure. Pilot killed. B-3107 271 23/02/1942 Written off at Andir. B-3110 274 07/03/1942 Emergency landing at Andir . B-3115 313 23/01/1942 Missing after attacking Japanese fleet. B-3117 315 07/03/1942 Shot down at Andir, Capt. 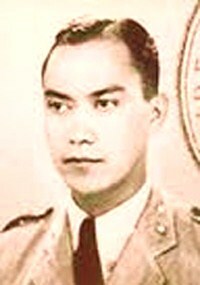 van Helsdingen killed. B-3132 330 (?) 24/01/1942 Shot down at Semplak. B-3133 331 19/02/1942 Written off at Paroeng. B-3157 356 09/03/1942 Destroyed by groundcrew . B-3159 358 24/01/1942 Lost in combat, Pilot T.J. de Waardt killed . B-3160 359 09/03/1942 Destroyed by groundcrew . A full scale replica of a Brewster B-339D Buffalo is on display in the Dutch National Military Museum, located at the site of the former Soesterberg Air Base. The airplane bears the name of (Sergeant) Gerard Bruggink, one the four pilots who flew the final operational sortie against the Japanese on March 7, 1942. Berk, Albertus (10 october 1919 – 29 january 1942) – Brother of Jan.
Berk, Jan (28 april 1922 – 9 february 1942) – Brother of Albertus. Tukker, Johannes Jacob (9 january 1916 – 20 february 1942. Und heute musste mich mal zu Wort melden . Ich habe euren Weblog schon seit einiger Zeit im Feed abonniert. Und heute musste mich mal ein schnellen Kommentar da lassen und ein “Danke” hinterlassen. Nice article! My dad was a technical officer with the ML-KNIL at Andir AFB at the beginning of WW2 and after, during the “Politionele Acties”. I have always been interested in warbirds and their history in general and also in the history of the ML-KNIL. Thanks for your compliment Douglas. I hope your dad did not have to spend the war in one of those horrible camps. As a matter of fact, I got my first ideas for my books and this blog by talking to someone like your dad. He too had been at Kalidjati and Andir during January – March 1942. Now I have set myself the task to document and publish what I can about the “forgotten campaign” in which so many good men and women lost their lives. Even more impressed by the quality of this post after reading your short story. Just signed on to receive eMail re your material. I am 85, so these matters to which you relate incite many memories of the tragedies as well as the accomplishments of those incredible WWII years. May I inquire as to why your character in your book, a Dutch military flyer, would have been a graduate of RAF flight school? I would have thought the Netherlands air force would have trained their aspiring aviators witin their own country. Furthermore, there are many books containing the experiences of RAF aviators writing of their becoming members of their air service via training at home and, during the war, abroad: I would have thought even the briefest allusion to training as a cadet in the Netherlands would be of interest to air forces historians’ . 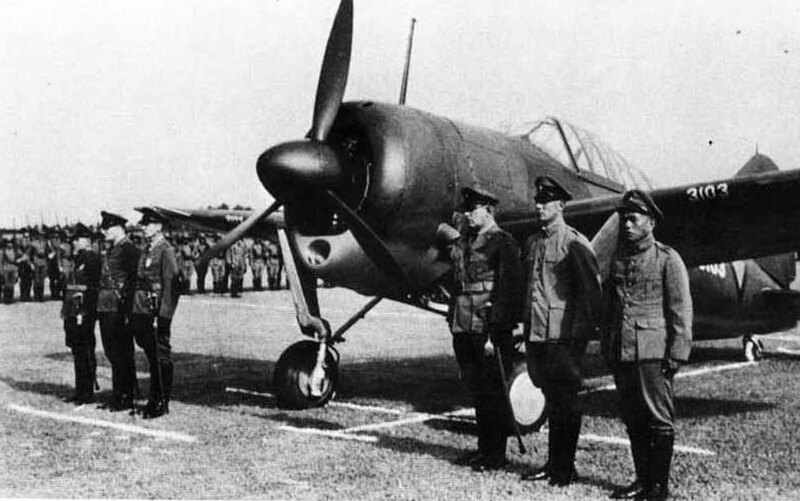 I found it interesting that one particularly successful Chinese aviator who fought against the Japanese in the late ’30’s was a product of the Luftwaffe flight training schools, so I do realize there were examples of aviators receiving training in foreign military flight training facilities. Don’t mean to be hypercritical, but you comment on the absence of supercharged engines in the Brewsters and then cite the pilots as over ‘boosting’ in an attempt to compensate for the absence of the very mechanical device which was necessary to enable said ‘boost’. Might I suggest that you might more correctly describe the premature wearing out of the engines as a problem caused by ‘operating at ‘too high a RPM’, or ‘at excessive manifold pressure’? My point is simply that ‘boost’ is, with reference to Internal combustion engines, associated only with ‘aspirated’ engines, ie., those with mechanical superchargers, or exhaust driven ‘turbo chargers’. Just wonderful coverage in your blog of things which fascinate me. I will be a devout follower of your offerings! My apologies for the delay in replying to your kind comments. I am quite impressed by having someone of your caliber as a reader of my blog! Thank you very much for your interest. And no – you are not hyper-critical – I simply should not have used the word ‘boost’. The Dutch but RAF trained pilot; after the German occupation of The Netherlands, quite a few young men escaped to the UK and were trained by the RAF as fighter or bomber pilots. In a number of cases, the Dutch government in exile in London decided that the risk of having them flying on operations over continental Europe was to great. There had been cases of airmen who had escaped from The Netherlands and who, after being downed, were arrested, tortured and executed by the Gestapo for (alleged) crimes or ‘terrorist activities’. For their own safety, a number of these men were sent to the Netherlands East Indies.